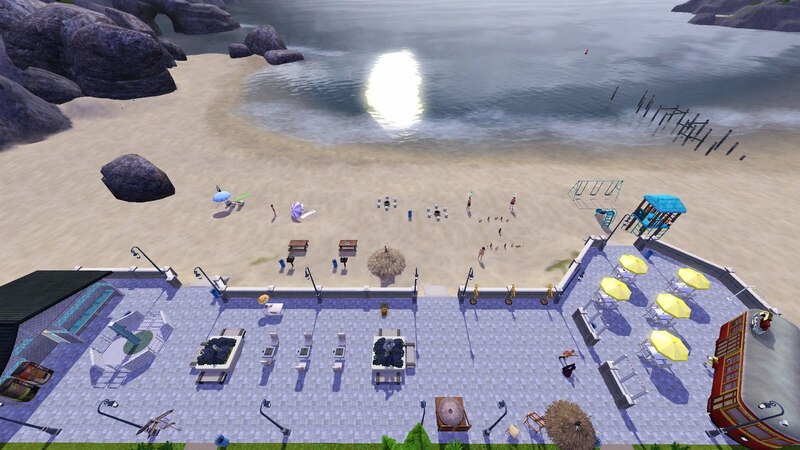 In my never-ending quest to expand my Sims 3 creation resume, I have decided to share a community lot. 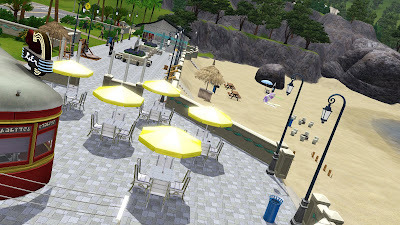 I wasn't originally intending on creating a community lot for sharing but (a) I really needed a community lot with more to do so as to attract more Sims (b) I love the beach, (c) the default beach lot was boring, and (d) I think it came out pretty fabulous so what the hey. 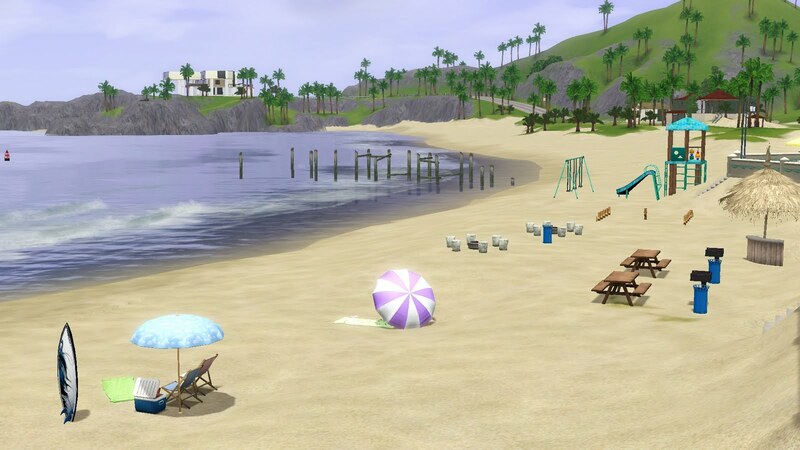 This is Simtinton Beach, oh-so-cleverly named after Huntington Beach here in Southern California, home of the sushi bar that serves the Hello Kitty roll. Which, in case that wasn't obvious based on the name alone, is amazing. 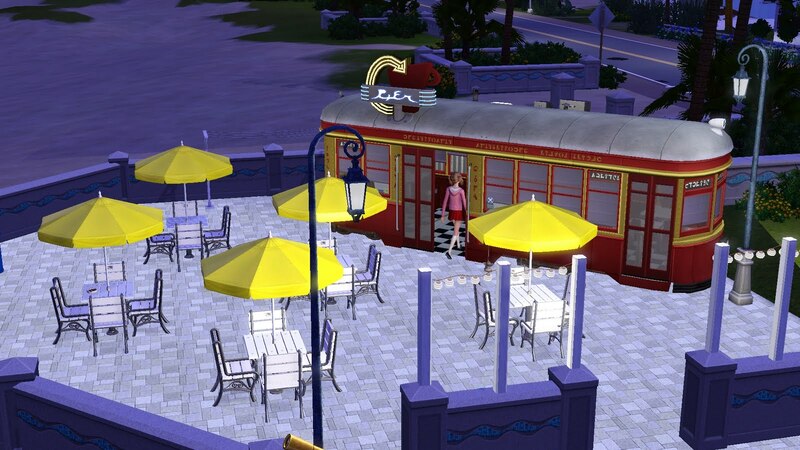 I created this lot with the intention of my Sim never having to ever go home. Because who would ever want to go home from the beach? EP and custom content: All custom content is included in a separate file; there are 32 CC items total. If you see anything you don't want, just don't install it and the game should automatically replace it with whatever the object was originally cloned from. This lot uses objects from both World Adventures and Ambitions. I don't know what'll happen if you try to install it without one or both of those EPs. 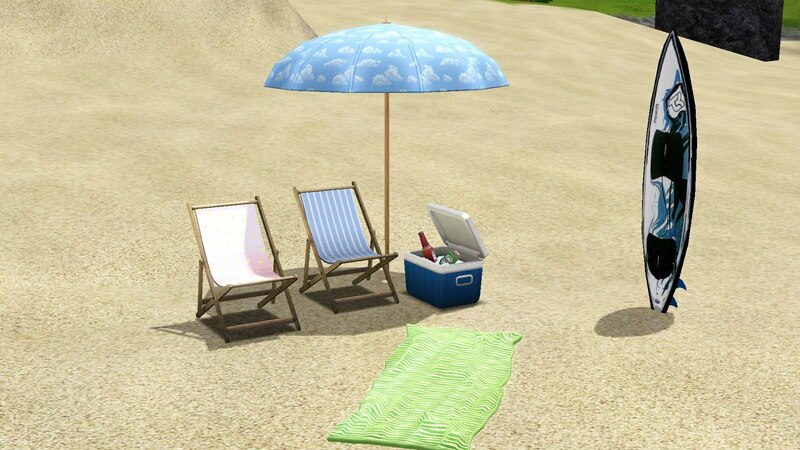 Now this looks like a fun beach! Thanks! Thank you for this. 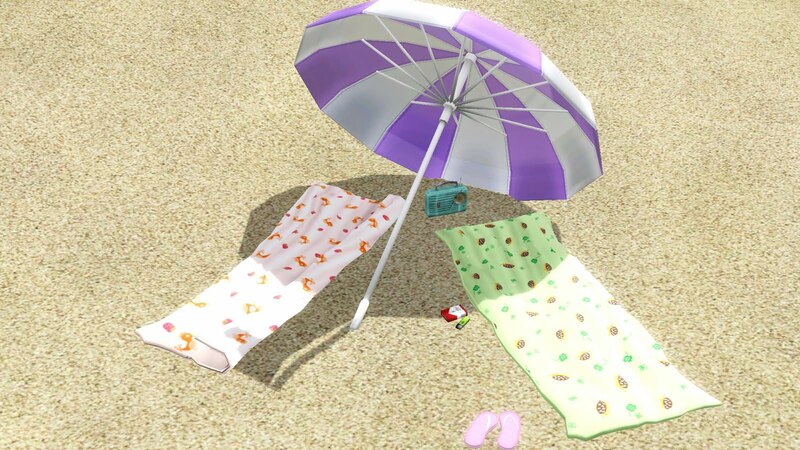 The beach is really cute and I love how you did provided the custom content. 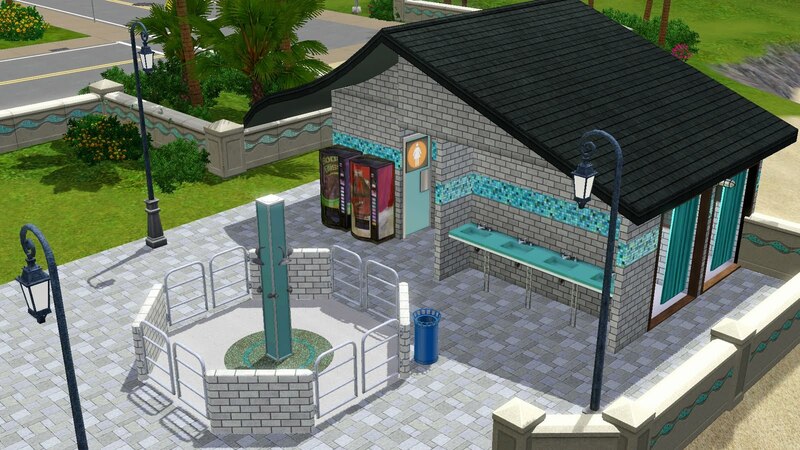 Most people either give you links, then you have to go to 20 or so different places on your own which is tedious, or they leave all the cc shoved into the sims3pack, but then you can't see what's going into your game and decide which ones you want. I wish more people would do it this way. I'd download more lots with cc if they did, but for now I am happy with this one. Great job! I took the time to check the creator's policies to see who was file-share-friendly and who wasn't. I was happy to find out that the majority of these creators agree that Sharing is Caring! There were a few items which I couldn't find a policy for, but I did my best to give credit. I get so disappointed when I see a nice lot, and it's followed by a laundry list of CC you have to download one at a time. So I'm glad my efforts are appreciated! Yay!